Get cozy with professional gemologist Kelly Sitek. She talks about adventures in mining, the chemical composition of different gems, breaks down the test taking process for gemology and gives advice on haunted stones. We also spill some tea on cultured pearls and address the psychology and neurological merits of crystals/the placebo effect. Whether you are a staunch skeptic or all about woo-woo, you may end up shoving a crystal down your pants just for good luck. A.k.a. neural top-down control of physiology. I had mixed feelings about this one - it went from a very science-focused discussion on crystal structures, crystal microscopy, and making synthetic gemstones to a more woo-woo discussion of haunted gems and the healing power and spiritual protection of Tibetan Black Quartz. Very jarring, and not quite what I was expecting from this series. 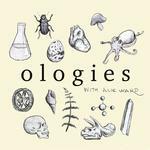 Alie did give a weak-worded "Hey, you do you" disclaimer, and brought up the power of the Placebo Effect in her voice-overs, but the interview did a lot to try to legitimize the woo-woo side of crystals and gems. This episode felt disappointing after three strong science-focused ones.